Welcome to Aqua Tec Systems Inc.
Aqua Tec Systems, Inc. is a water-well systems and pump installation company located near Glenwood Springs Colorado in the Roaring Fork Valley. We've been serving customers on the Western slope since 1981 and we look forward to meeting your needs. We serve the following areas: Aspen, Basalt, Carbondale, Glenwood Springs, New Castle, Silt, Rifle and beyond. 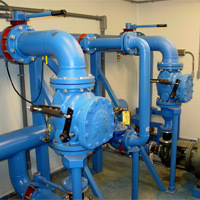 Our services include parts and installation for municipal, industrial, and residential pump systems, pump services, water-well drilling, water treatment systems, water-well parts,water storage systems, and sewage lift stations. In addition, we design and build UL Certified control panels and we also provide services related to well volume and water quality testing. 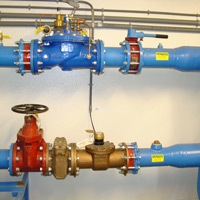 Click here to see a complete list of our water-well services and water-well systems.